Gutters are an important part of any home, yet many homeowners neglect them for too long. Many homeowners only think of their gutters when a leak develops, but your gutters serve an important role in channeling water away from your home’s foundation, so it’s helpful to pay for gutter cleaning on schedule. Improperly installed and clogged up gutters can lead to water damage. On the other hand, one question many homeowners have is whether to install sectional or seamless gutters. These are actually two different types of gutter systems. Read on and find out which type is better than the other. Seamless gutters are the ideal choice over traditional sectional gutters. Here’s why. Since each seamless gutter is tailor-made for each property, homeowners can be sure their gutters will be a perfect fit. When gutters fit perfectly, they function at their peak. 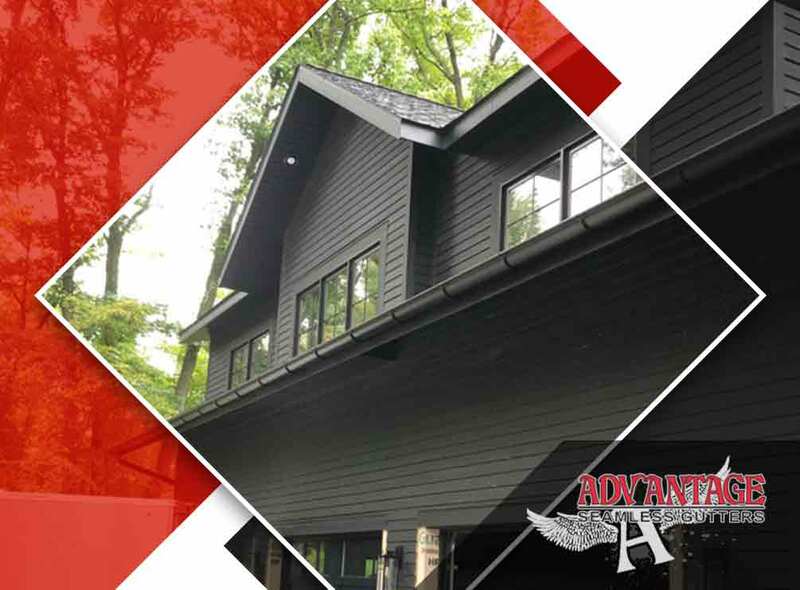 With Advantage Seamless Gutters’ expertise, we guarantee your gutter systems will offer the performance you need. Sectional gutters usually have higher chances of collecting debris. This is because these systems have a number of seams that tend to catch debris as it flows along the gutter, and that leads to standing water that can damage your property. For seamless gutters, you will not have to worry about as much debris thanks to its smooth design. While they may cost a little more compared to traditional gutters, they are actually more affordable over time because of that feature. Since they have no joints and fasteners, seamless gutter systems look much better than sectional gutters. As a result, they will add to the appeal of your home, possibly improving your home’s value. When choosing seamless gutter systems, always remember that you need the help of professional gutter contractors such as Advantage Seamless Gutters. We will make sure you receive the workmanship you deserve and the product that’s customized for your home. We proudly serve the area of Baxter, MN. Call us at (218) 212-1818 to learn more about our products and services.